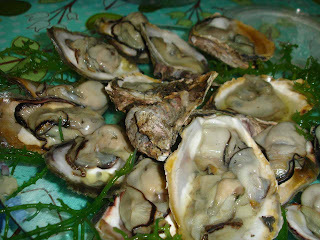 We chanced upon fresh oysters in the market today. I was thinking of baking it with tons of cheese but my SIL wanted it fresh. After cleaning the shell, we just poured hot (boiling) water on it so that the shell will open. Then we dipped it vinegar with ground pepper- yum!